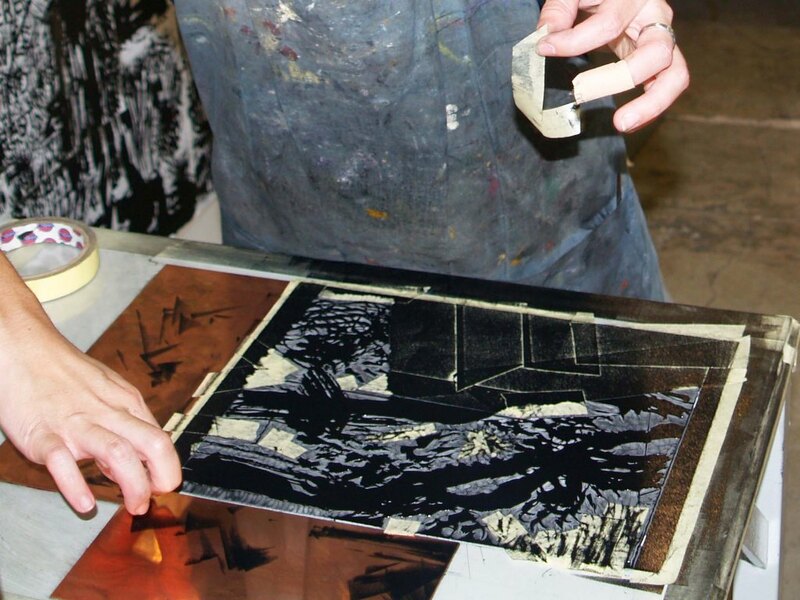 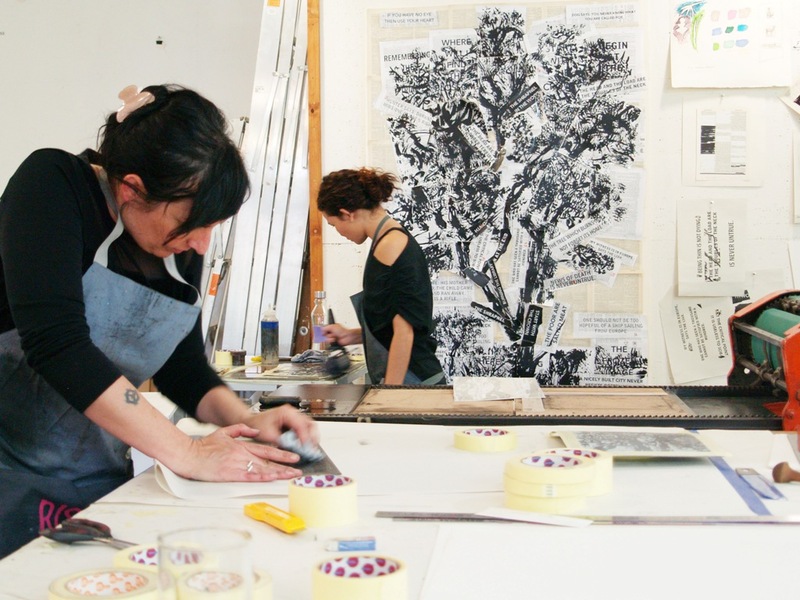 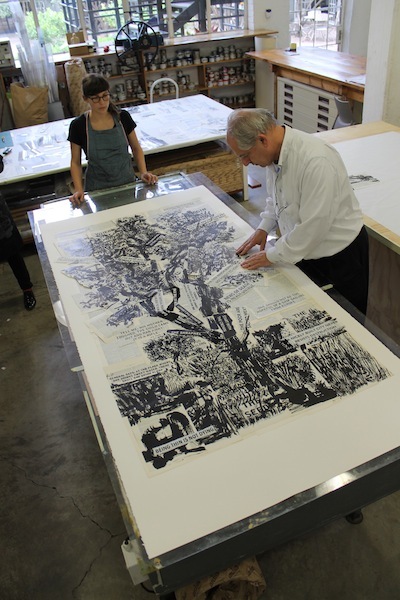 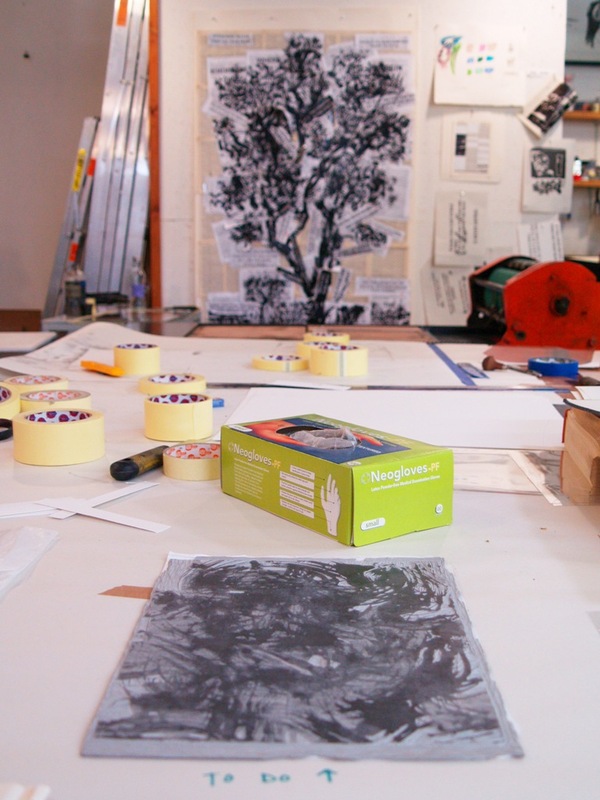 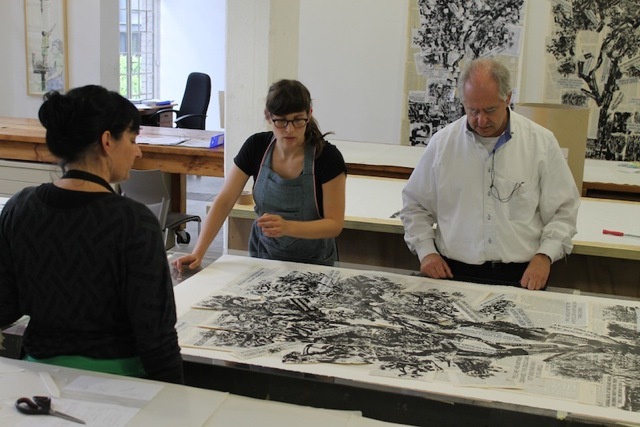 The work above is one of William Kentridge’s new linocut trees, titled Lekkerbreek. 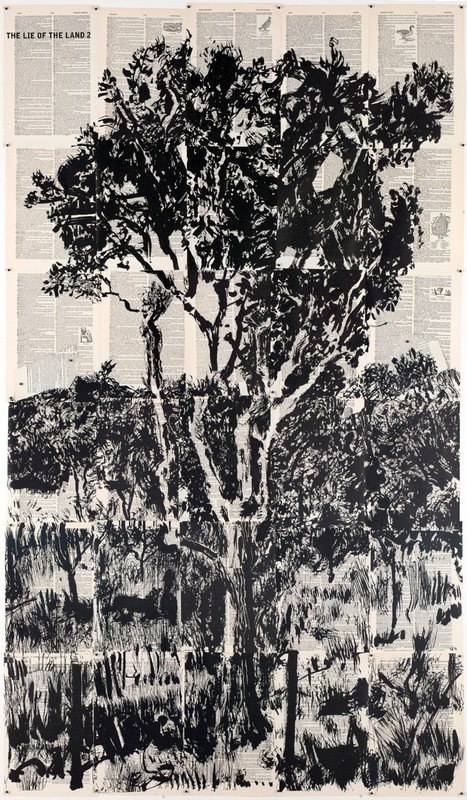 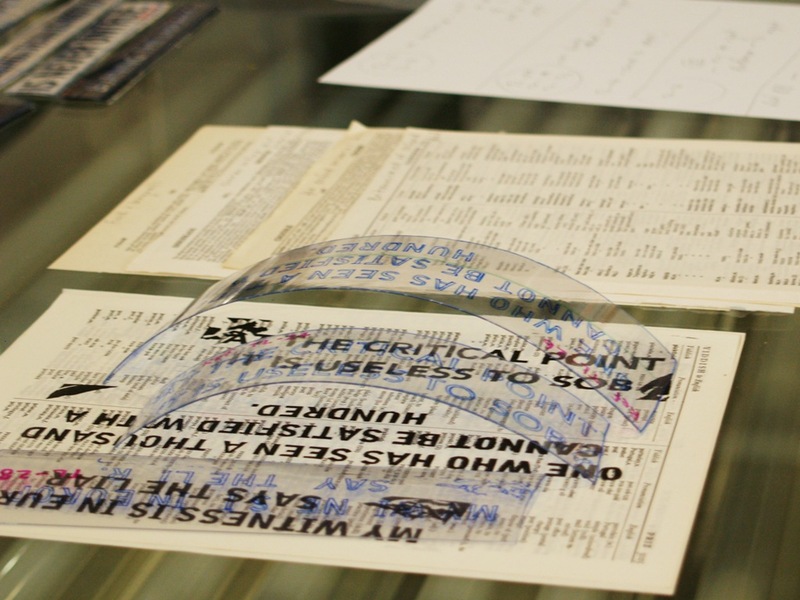 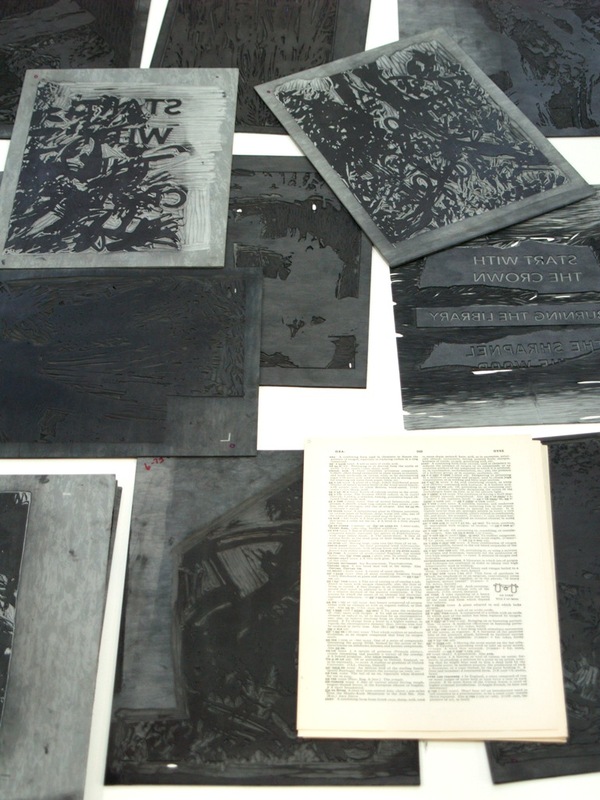 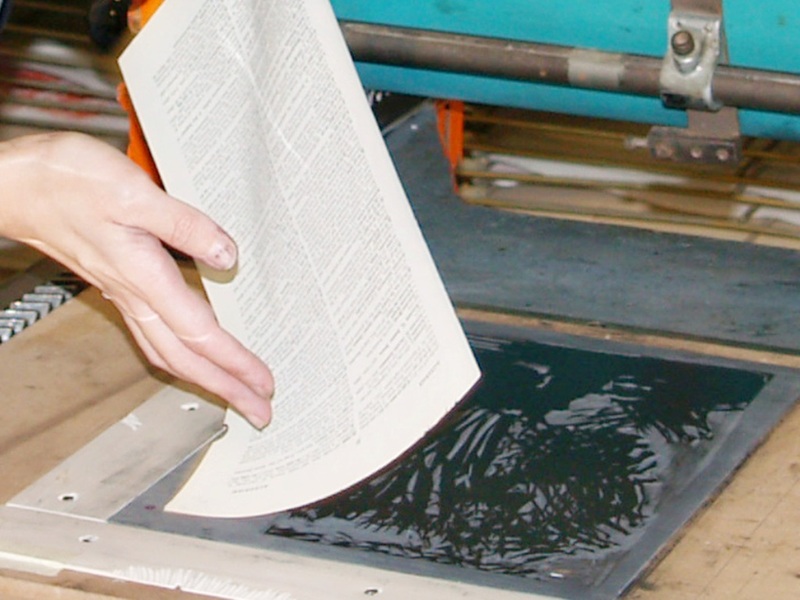 The image is constructed from individual dictionary pages that have a small section of the image printed on them by the David Krut Print Workshop printers and then pain-stakingly assembled like a puzzle with overlapping pages and small, torn additions into the complete work. 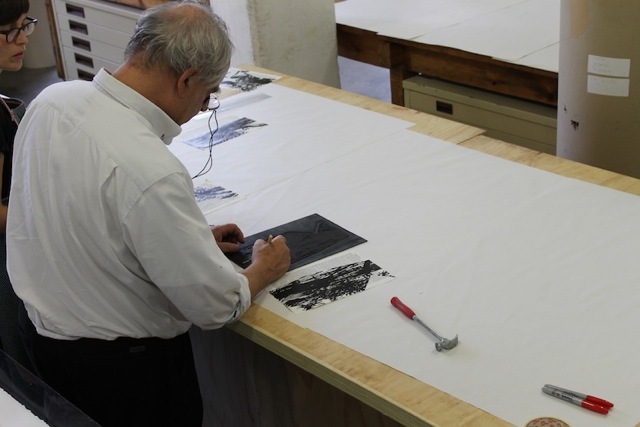 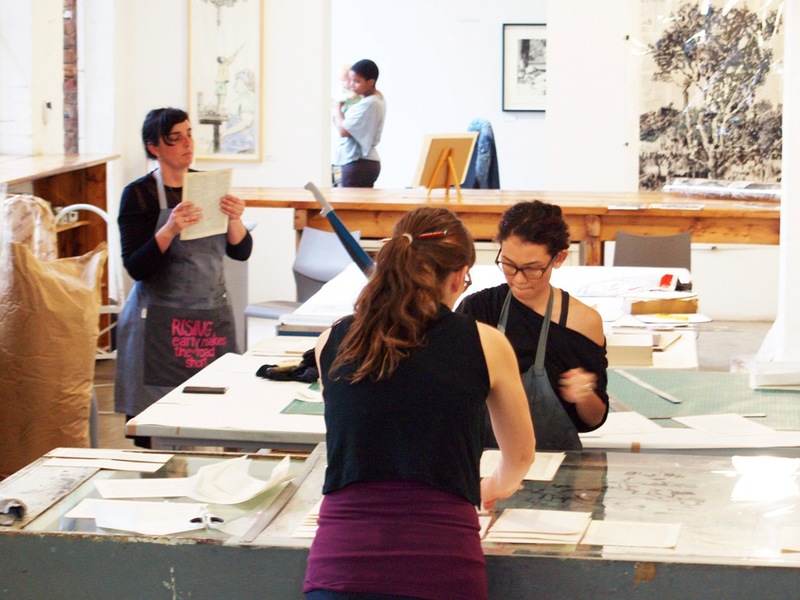 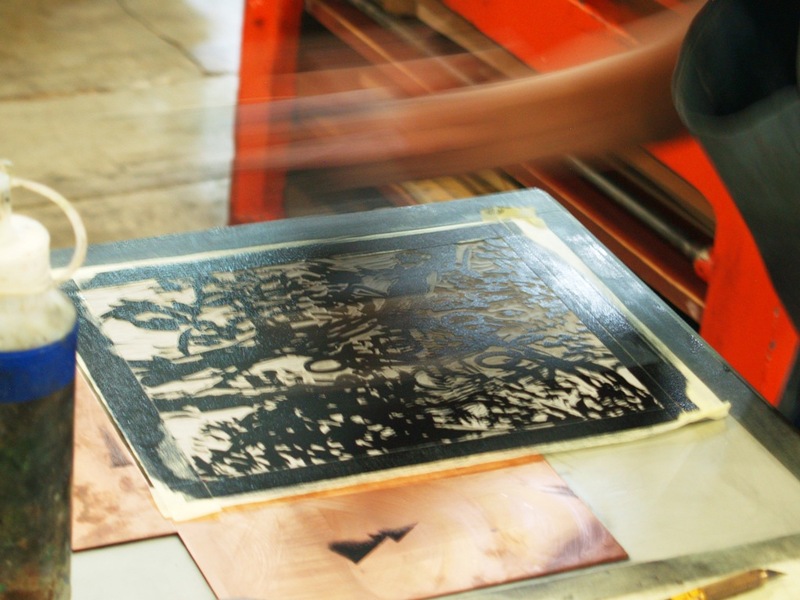 One can view this process on a weekday at DKW, Arts on Main. 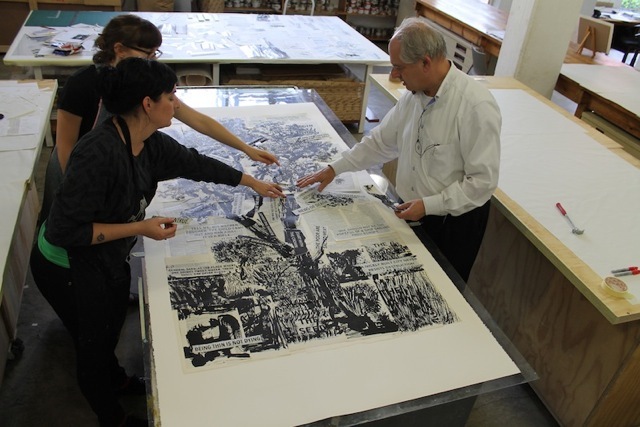 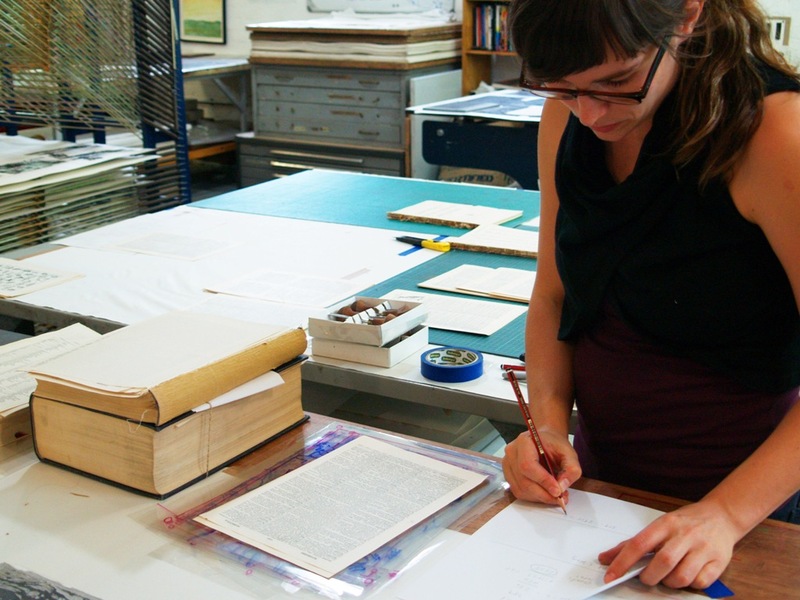 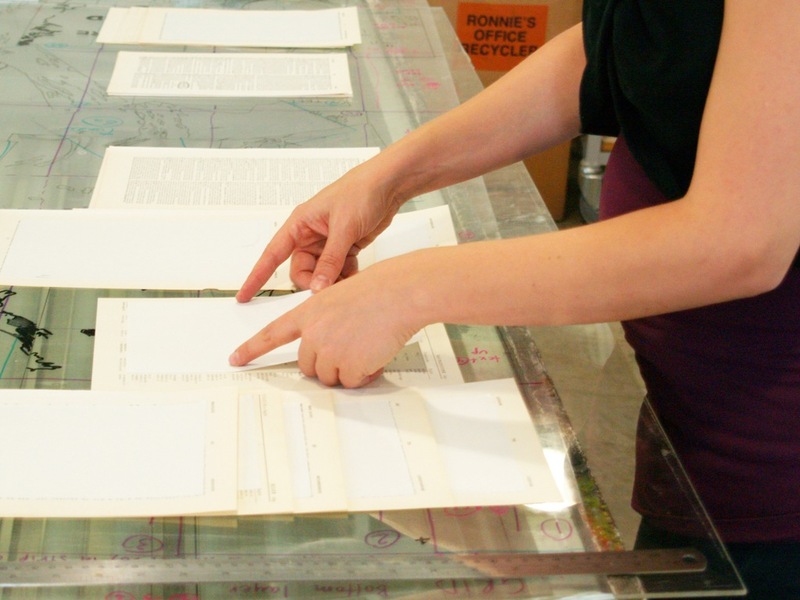 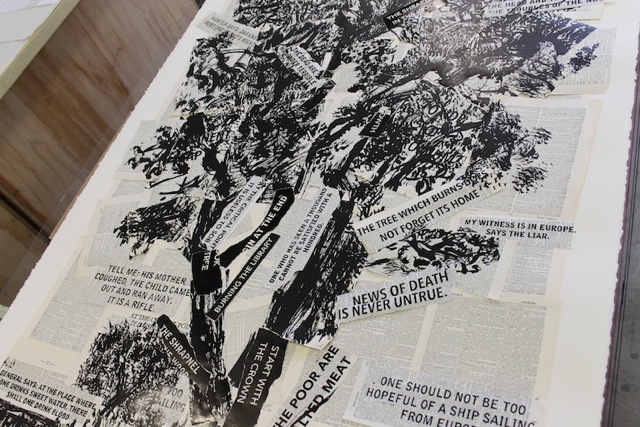 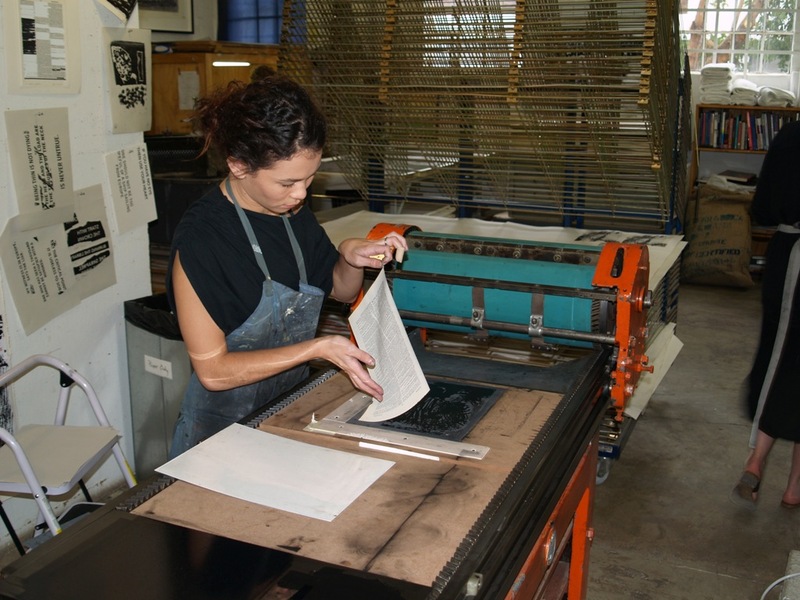 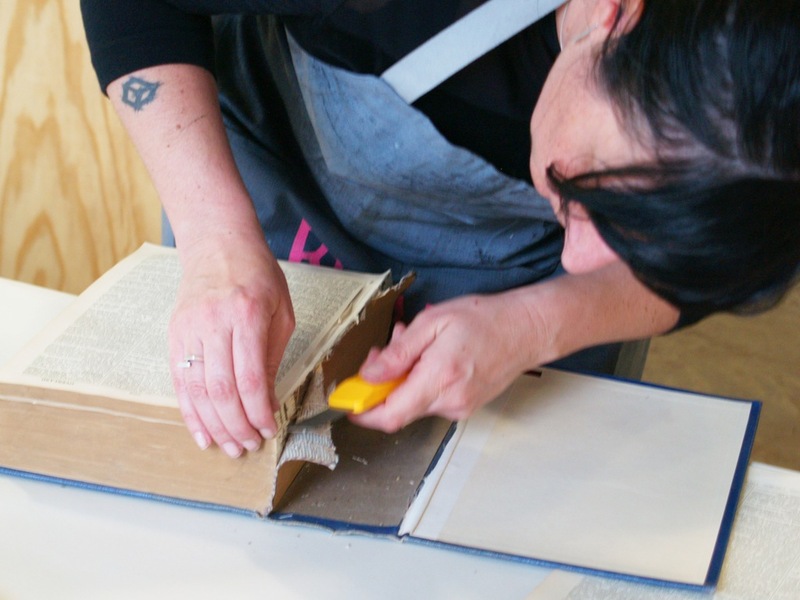 The images below show DKW Manager Jillian Ross, printer Kim-Lee Loggenberg, and David Krut Projects Manager Mary Wafer working on Lekkerbreek‘s companion piece If you have no eye… that incorporates many textual aspects in the trunk and branches of the tree itself. 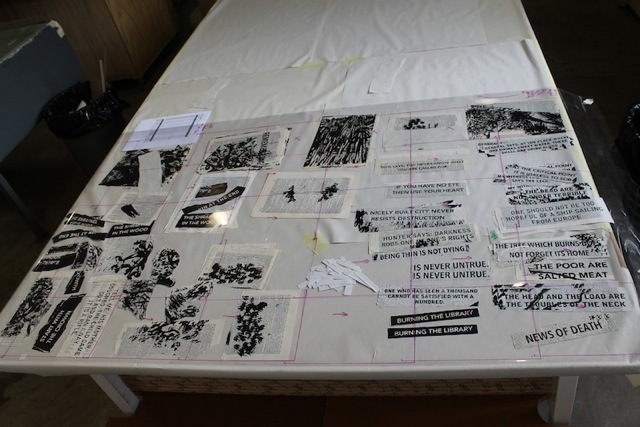 Images have been provided by Elzette de Beer and Noma Ngwenya.